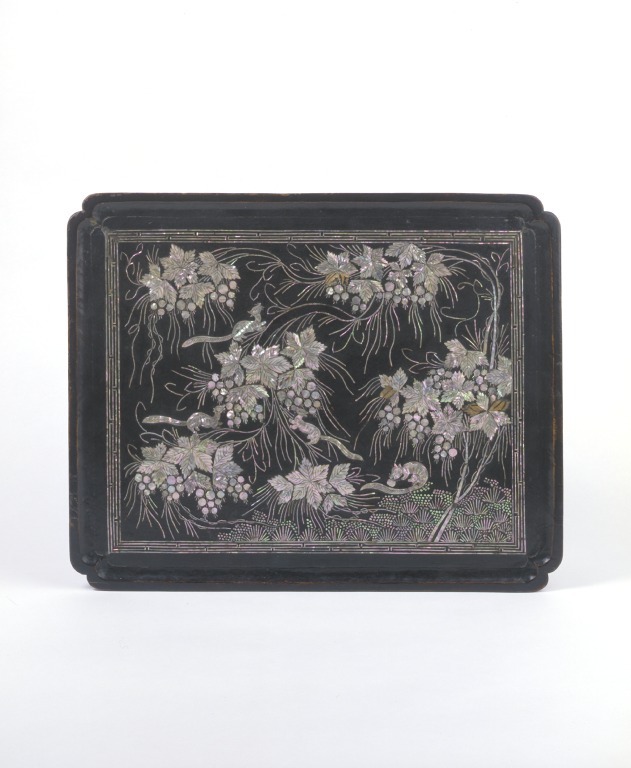 The surface of this wooden table top has been inlaid with mother-of-pearl and covered with black lacquer. Four squirrels or chipmunks are depicted, playing and nibbling on a fruiting vine. The table is a portable one, suitable for use in a Korean home. Its legs do not survive. The table would hold meals carried from the kitchen to the living quarters. The diners would eat while sitting on the floor. 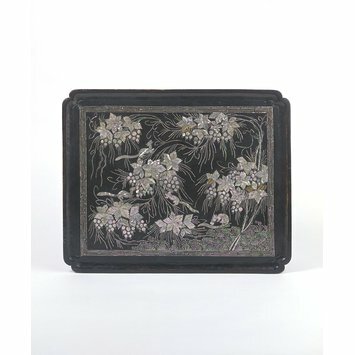 The maker's identity is not known, but the use of squirrels and scrolling vines as a decorative motif is widespread in 19th century Korean arts. The table top is decorated with inlaid mother of pearl clusters of fruiting grapevines and squirrels, framed by a border of fret-work. This table top probably formed part of a portable serving/dining table known as a soban. These were small four-legged tables with rectangular or circular tray tops. In a traditional Korean house, food and drink was brought in from the kitchen on these individual tables and placed in front of the person about to dine.